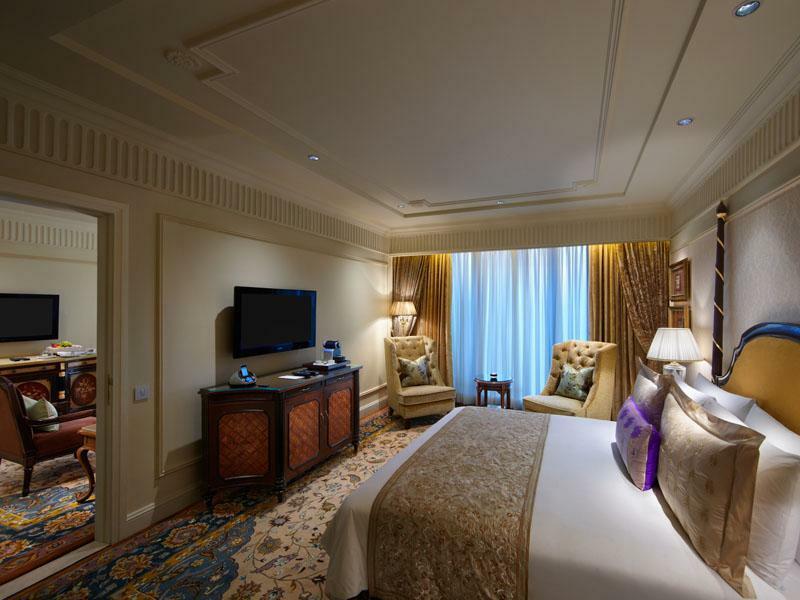 "The facility is well equipped with quality product, staffed..."
Have a question for The Leela Palace New Delhi? "This hotel is stunning and perfect in every way." 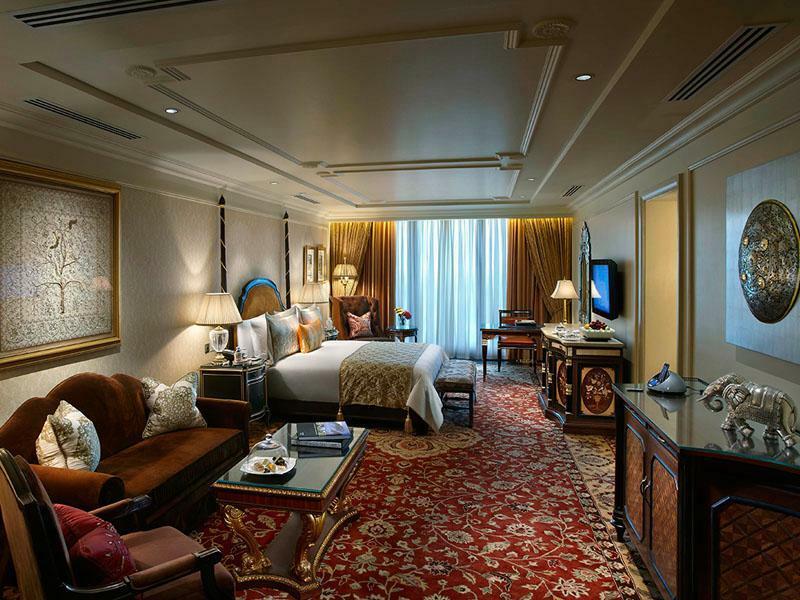 Located amidst some of the most important addresses and just a short distance from major attractions in Delhi, The Leela Palace New Delhi is a wonderful blend of Lutyen's architecture and the royal Indian culture. 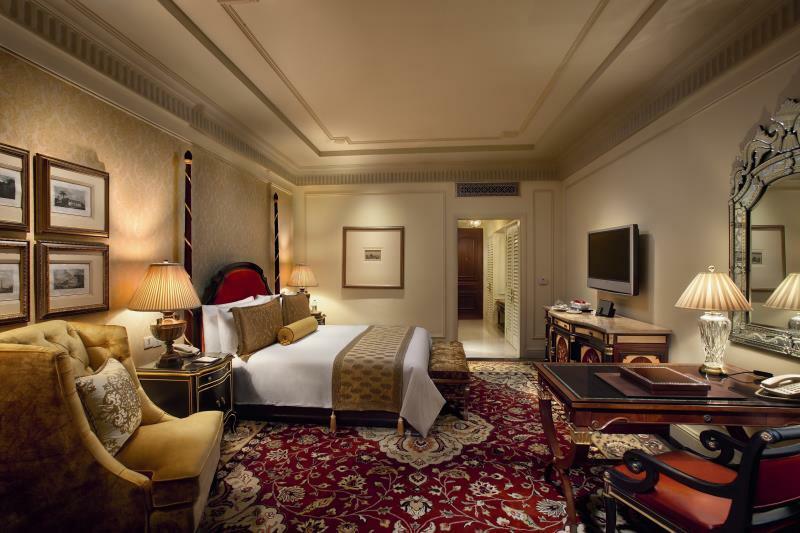 Experience 254 of the most luxurious and wide-spaced guestrooms and suites that are instated with latest technology. The ultra-special Royal Club Level experience includes five complimentary food and beverage presentations at the lounge and up to two hours use of the meeting rooms once during the stay. The exclusive spa by ESPA offers an Ayurveda inspired day spa menu thoughtfully created for both women and men while the Delhi's only rooftop temperature-controlled swimming pool offers the panoramic views of the city's skyline. The award-wining restaurants include Le Cirque and MEGU from New York and, offer picturesque alfresco settings that are just perfect for any occasion. Bookings for 5 rooms or more will be treated as a group booking. Different policies and conditions may apply. Please contact the property for more information. The attention to detail in the hotel is phenomenal. The staff were very attentive during our stay and the room was excellent with very high quality furniture and excellent fittings throughout. I look forward to my next stay here. True luxury. Everything was perfect and above our expectations. The staff was very helpfull and helped doing our stay in the hotel a real pleasure. 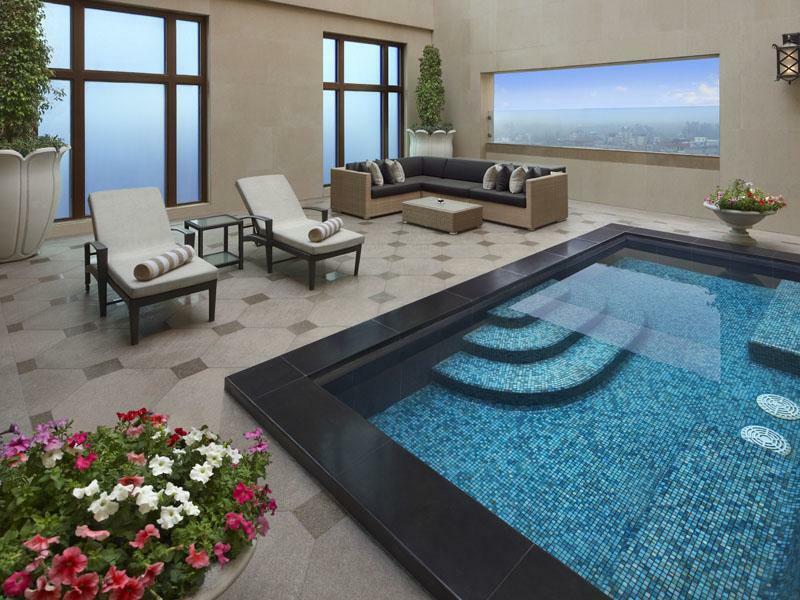 We would definetely go back to Leela Palace Delhi. Everything was fantastic..which we keep coming back to the Leela! The staff, the ambience, the super luxurious rooms, the service and the food! Both Le Cirque & The Qube we’re exceptional! Would highly recommend this hotel to all travellers! Wonderful hotel. However, the staff were a little frosty and aloof. First of all checked in such a way that we had to pay for everything as we went, rather than a final bill. Almost as if they didn't think we were credit worthy???? Otherwise, very nice. The Leela Palace is a wonderful hotel! Very comfy, clean, tasty food, with nice ambience! We had a problem with our room when we arrived and they were kind solving it! The only uncomfortable issue we had was the interruptions after one hour there for all the same things, the new key and wi fi, which seems the staff were not really prepared for a five stars hotel! Besides that we would recommend it! Proving once again that you get what you pay for, this was a superb experience from check-in to check-out – when it was marred only by the won't-take-no insistence of a desk clerk that we complete a feedback form longer than most SAT exams. (India, we noticed, is very big on feedback forms.) Otherwise, this was an exemplary stay: the bed was comfortable, the breakfasts exceptional, the bathroom big enough to play cricket in, and the staff unfailingly friendly and attentive; when my wife contracted food-poisoning, they went above and beyond to ensure she was comfortable. We have nothing but love for this place. There's nowhere else in Delhi we'd rather stay. Our first visit to India. 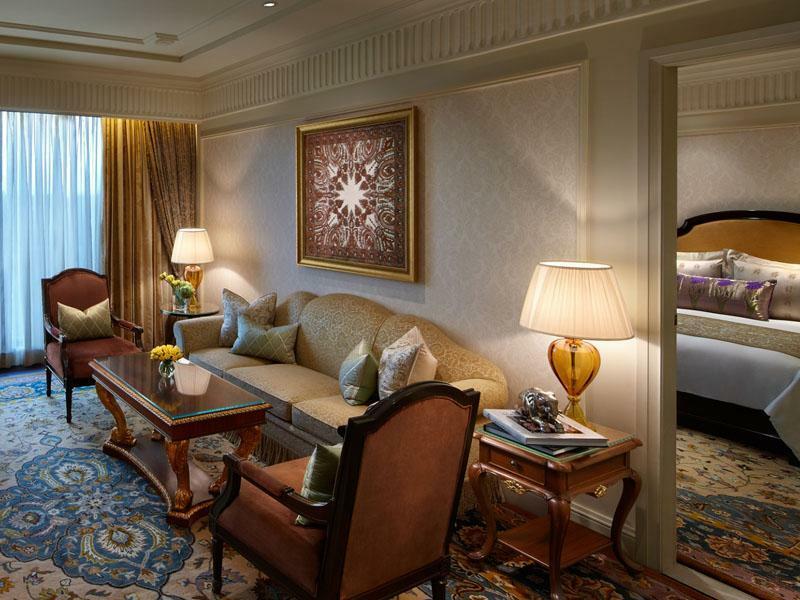 We had 4 nights in Delhi and chose the Leela palace because of its location and facilities. It was modern and well appointed throughout. The restaurant options are good. The club rooms and accompanying services are worth the investment. Everything about our stay was perfect - magnificent rooms with excellent amenities and very comfortable beds, and a delicious and varied breakfast selection. The lobby and public areas are beautiful and well kept, and the little touches like the welcoming ceremony are lovely. Definitely worth the extra dollars! I am a returning over and over again guest. 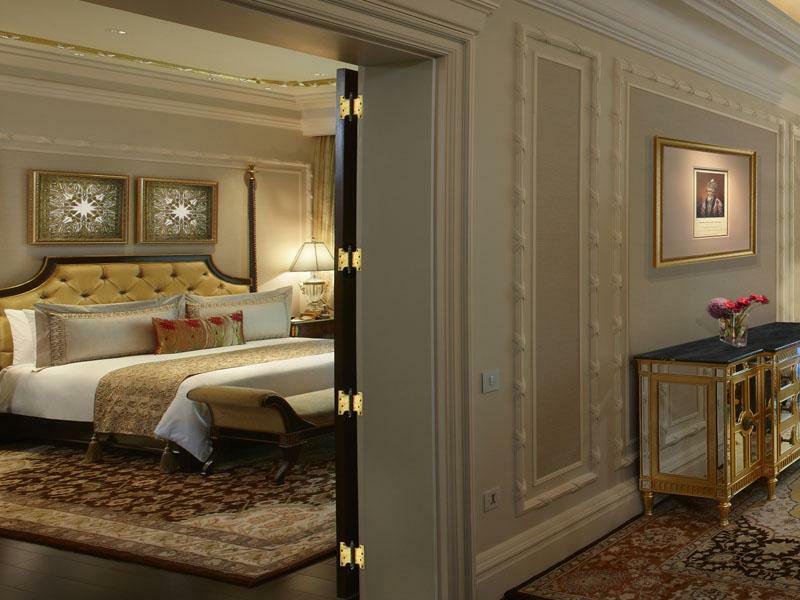 The hotel is as luxurious as the most luxurious hotels in the world. It is elegant. While hotels like that are beautiful, they are rarely welcoming, comfortable or relaxing. The Leela Palace Delhi manages to do both. Surrounded by elegance, you never feel you can't be yourself. You never have to dress up for meals. You can enjoy yourself and never feel you have to be formal. My only choice for Delhi. Best kitchen in India. Incredible customer service. Warmth and luxury! 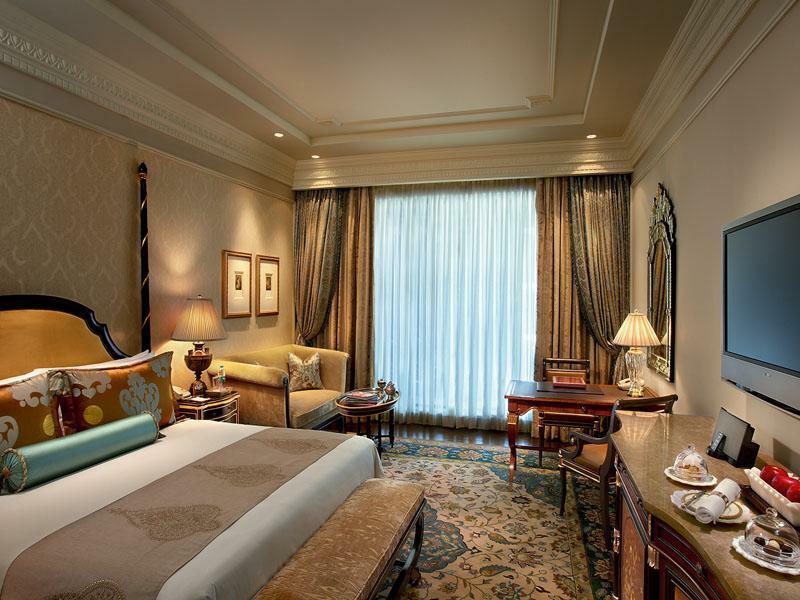 The Leela is very centrally-located at the Diplomatic Enclave. The hotel is clean and very comfortable. They have friendly and helpful staff and the hotel offers great privacy for their guests. The Megu, a Japanese restaurant at the ground floor of the hotel, is amazing. The Library has a great outdoor area that offers fabulous cocktails. Will no doubt come back and stay at the Leela in my next visits to Delhi. We had a brilliant stay at the Leela...This is truly a 5 Star hotel in every sense of the word. 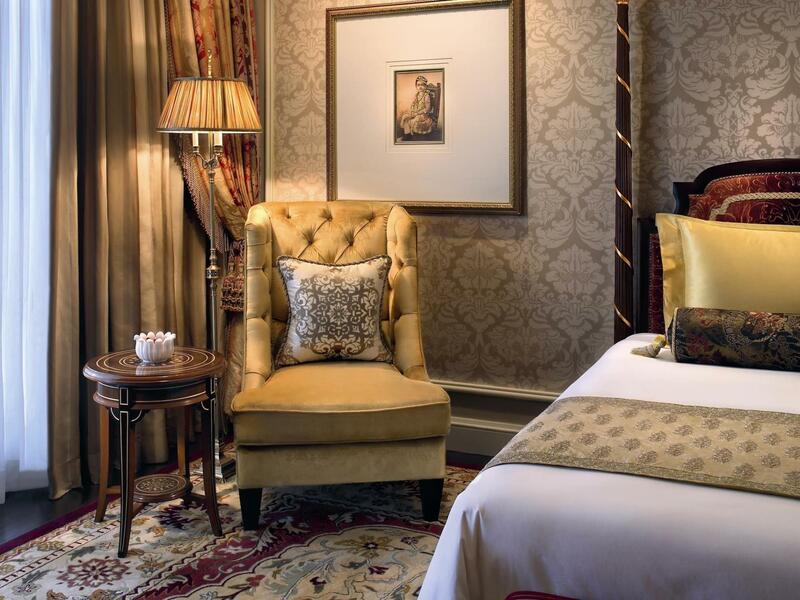 The rooms are beautifully appointed and to call them luxurious would be an understatement. We have been staying at the Leela every time we visit Delhi and feel that it is best part of our visit! The service is impeccable and the location is fabulous. This is the only place to stay when in Delhi! We spent a very relaxed and comfortable weekend at The Leela. The room was extremely well appointed, with lots of space. The service was great. We didn't have any meals apart from breakfast which we ordered from the room serviceebu, but that too was served as though we were at a gourmet restaurant! Had a lovely stay and look forward to staying at The Leela again on our next visit to Delhi! Large room size. High level of furnishings and fittings in room. Excellent and attentive service. I arrived very early (around 8.00am) after an overnight flight from Europe, so was very pleased that I could occupy my room immediately. The room was large (around 50 sq.m.) with floor to ceiling picture window allowing in lots of natural light. The room lacked for nothing (with the possible exception of an adaptor to allow me to use my iPhone5 in the iPhone 4 socket on the music system). Throughout my stay I found the service levels exceptional: attentive while never obtrusive, and very helpful. The hotel is chock-full of world-class restaurants, I ate at the Indian food restaurant, Jamavar, where the food was good if not exceptional. All in all, a great experience, and surely The Leela Palace is the best hotel in Delhi. Coming off of a spartan, albeit highly rewarding, tour of India's remoter regions, a stay at the Leela was pure bliss. The rooms -no lobby were luxurious, the food delicious, and the service superlative. I hope to return!